One of the attractions of the province of Alicante resides in its Costa Blanca, where we can find amazing beaches to spend our long-waited vacation. 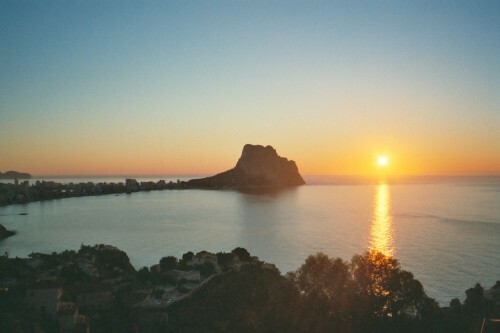 The Costa Blanca consist of up to 170 beaches of the Mediterranean coast. The recreational possibilities are almost endless, from long walks along its shores to sail the waters in a recreational boat. Also its nearby Sierra de Aitana gives us the possibility of hiking trails for mountain lovers. You can enjoy its beautiful landscapes and visit Tabarca in Santa Pola Cape, which is served by regular catamaran lines with Santa Pola and Alicante. The opportunity to visit coastal towns like Torrevieja, Javea, Calpe, Altea and Dénia among others, include the nightlife and terraces next to the beach. This makes the Costa Blanca an ideal place for a holiday or living, as its climate and landscape make it a privileged area. If you would like to learn more about homes in the Costa Blanca, you can visit the web costablanca4u.com where you can find hundreds of homes around the towns that Costa Blanca is. The web Larry Vega Costa Blanca Properties has a complete search filters for towns and types of homes, to help you find the one that best suits your needs.